BF's Draughts for iOS. 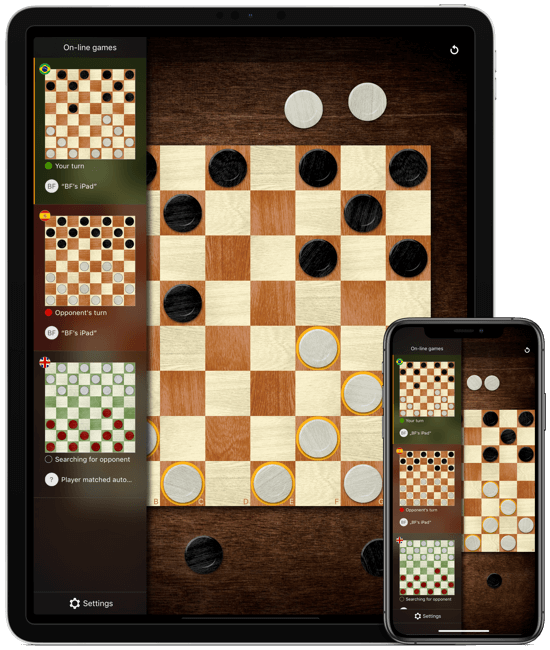 Beautiful and FREE draughts (checkers) for your iPhone or iPad. Wherever you are. Whenever you want. Play beautifully designed Draughts (Checkers) on your iPhone® or iPad®! For FREE! Apple, the Apple logo, iOS, iPhone, and iPad are trademarks of Apple Inc., registered in the U.S. and other countries.  Mac App Store is a service mark of Apple Inc.
Draughts (Checkers) is a worldwide-known, classic strategy game. Draughts has become very popular in many countries and turned into many variants with slightly different rules. Developed with passion, this game reproduces many different variants so you can learn new rules or play your favorite ones. English Draughts English Draughts The game is played on the dark squares of the 8x8 board in regular orientation. Player with "dark" pieces starts. Pieces (men) can be moved one field diagonally forward. Captures (jumps) are mandatory but player is free to choose which one to perform if multiple capturing moves are possible. Only forward captures are legal. Any piece can capture any other, including Kings. When a piece touches the border line of opponent side, it becomes a King and must stop on this field (if it reached this field during capturing). A King moves and captures one field backward and forward. The game is finished when one of the players loses all his pieces or can't perform any legal move. A draw is when both players performed 20 moves only with Kings (in a row) and didn't capture any piece during them. American Pool American Pool The game is played on the dark squares of the 8x8 board in regular orientation. Brazilian Brazilian Draughts (little Polish) The game is played on the dark squares of the 8x8 board in regular orientation. Player with "light" pieces starts. Captures (jumps) are mandatory. If multiple capturing moves are available, the player must perform the move that captures the most pieces. A piece can capture in both directions - forward and backward. When a piece stops on the border line of opponent side, it becomes a King. A King has long moves and captures on any field along its move and stops on any field after the last captured piece. Russian Russian Draughts The game is played on the dark squares of the 8x8 board in regular orientation. When a piece touches a field on the border line of opponent side, it becomes a King. When it reaches this field during capturing, it becomes a King and continues capturing (if possible) as a King. Spanish Spanish Draughts The game is played on the light squares of the 8x8 board in mirrored orientation. Only forward captures are legal, however Kings can capture in any direction. Portuguese Portuguese Draughts The game is played on the dark squares of the 8x8 board in mirrored orientation. German German Draughts The game is played on the dark squares of the 8x8 board in regular orientation. Pieces (men) can be moved diagonally forward. A King has long moves and can capture on any field along its move and must stop right after the last captured piece. Italian Italian Draughts The game is played on the dark squares of the 8x8 board in mirrored orientation. A piace can't capture Kings which can be captured only by another King. Turkish Turkish Draughts The game is played on the whole light 8x8 board. Each player has 8 pieces in the beginning. Pieces (men) can be moved one field orthogonally - left, right and forward. If multiple capturing moves are available, the player must perform the move that captures the most pieces. Thai Thai The game is played on the dark squares of the 8x8 board in regular orientation. Captured pieces are removed from the board immediately so and King is allowed to perform 180 degrees turn to continue capturing. Czech Czech Draughts The game is played on the dark squares of the 8x8 board in mirrored orientation. If multiple capturing sequences are possible, the precedence takes the sequence that moves the King. Kamikaze Kamikaze Also known as Anti-checkers, Poddawki (RU) or Wybijanka (PL). The rules are exactly the same as in Brazilian variant except that wins the player who first loses all his pieces or can't perform any move. International (10x10) International Draughts (big Polish) The game is played on the dark squares of the 10x10 board in regular orientation. Dameo Dameo The game is played on all squares of the 8x8 board in regular orientation. Pieces can move forward diagonally, vertically and horizontally, however capturing can be made only vertically and horizontally (this applies to Kings as well). A special move called "linear" is allowed where a single piece (not a King!) can jump over a sequence of other pieces with the same color provided there is a vacant field it can land on the end. Kings can fly and move diagonally, horizontally and vertically in both forward and backward directions. Capturing is mandatory and a player must perform a move capturing the most possible pieces. If you don't see your favorite variant then you can easily create your own rules! Thanks to very rich settings you can customize capturing, crowning, board orientation and size, and much more! This is probably the most configurable draughts game on the App Store! Play against your device. Four differently-skilled computer players always try to play very good and unique game. You can also play against your friend - just run the game in available two-players mode or face other players around the world via real-time on-line multiplayer! BF's Draughts integrates Game Center's leaderboards. Win games, earn points and climb in global leaderboards. All your points are summed up in one global Top Players leaderboard! Ouch! Did I already mention that this game is totally FREE? Yes! No need to buy anything! Borys Forytarz may use and disclose to his partners and contractors the collected non-personal data for purposes of analyzing usage of the game, advertisement serving, to manage and to further develop the game. You recognize and agree that the analytics companies utilized by Borys Forytarz may combine the information collected with other information they have independently collected from other services or products relating to your activities. These companies collect and use information under their own privacy policies. The idea behind this game is based on Łukasz Oktaba's Draughts for Android (draughtsforandroid.com) and is being developed under an agreement. Material Components for iOS by Google Inc.
Have a trouble or idea? Want to get in touch? Contact me immediately! I'm waiting for your message!